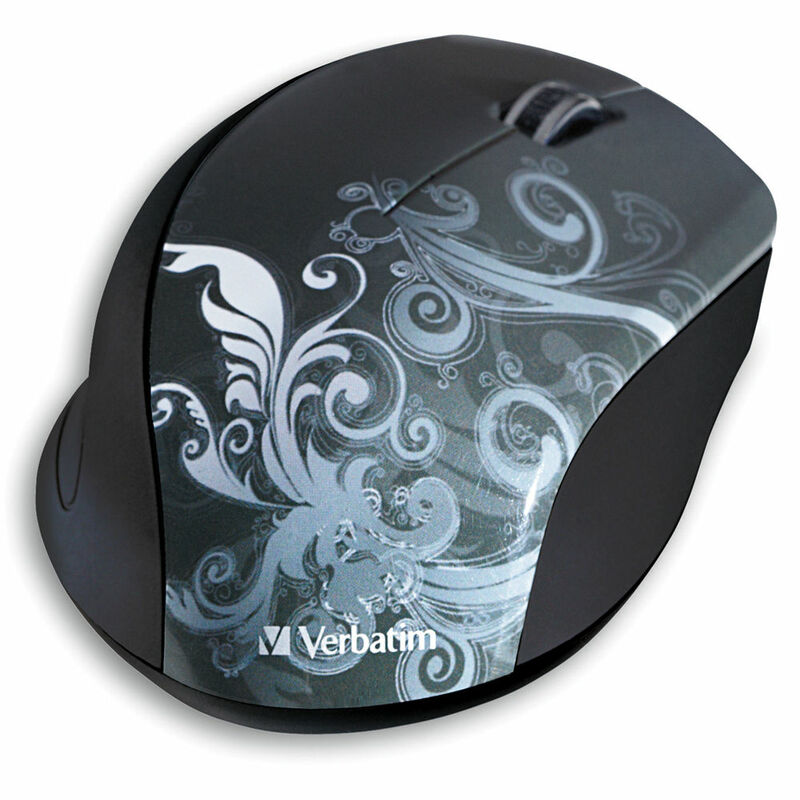 The Verbatim Wireless Optical Design Mouse features a graphite artistic design that will add character to any workspace. The mouse employs reliable 2.4GHz wireless technology, and comes with a nano receiver that plugs into an available USB port on your computer. The receiver is small and unobtrusive, staying out of your way when it's plugged in. Or, when you're not using it you can slide it into the base for safe keeping. The Wireless Optical Design Mouse also features an easy grip shape and rubberized side grips for comfort and control. For cross platform flexibility, the mouse is compatible with Windows and Mac operating systems. Box Dimensions (LxWxH) 8.2 x 3.8 x 2.2"
Wireless Optical Design Mouse (Graphite Design) is rated 5.0 out of 5 by 4. Rated 5 out of 5 by Sherman S. from Verbatim does what is should My wife says it works very nicely, and, she's been behind a computer for MANY years. To me, that means this mouse works fine. Rated 5 out of 5 by Ben from Good Product The mouse looks awesome, works well, and my girlfriend loves it. It was an excellent present and was delivered quickly too. Rated 5 out of 5 by Sound man from I REALLY like these lil guys I sell these for Surveillance DVR Mice. They are fast as lightning and cool looking. Is this mouse also compatible with Windows 8?